It’s time to dive into the deep blue sea! Explore the depths of the ocean in the fab Finz Deep Blue Sea Women’s One Piece. This vibrant colour block suit in deep shades of indigo and charcoal is on trend and ultra flattering. 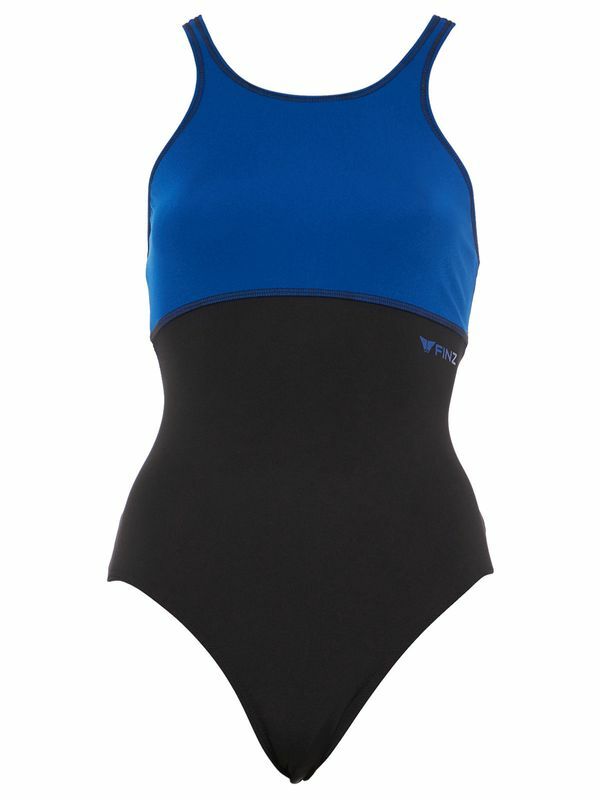 With a Finz logo at the rib, this one piece is easily one of the chicest suits you’ll ever see! Best of all, this one piece will keep up with you as sail the seven seas! Made with the needs of serious female swimmers in mind, every piece in this high-tech swimwear range from Finz Swimwear was designed for athletes, triathletes, surf life saving teams.